Some great ideas to make the home look beautiful at Christmas, following to literally all the details you'll find in this article. 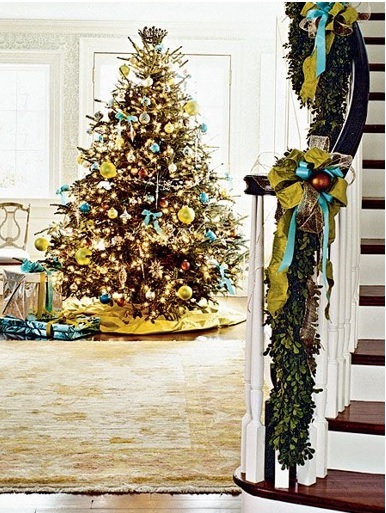 You can use the decorations you love to decorate the stairs and Christmas tree. What will make the house being too cute it not depends on how expensive are the ornaments that you use for decoration, but the effort and love you put into it. Remember that with very little you can do great things. It is you say you can use some clothes you no longer use and have used the space in the wardrobe. Such clothes can be used to make some bows to decorate the tree and stairs. You can do some pretty garlands that look beautiful in the handrails.